It's time for another ISC Challenge! For this challenge you need to use this sketch, and any ISC images. 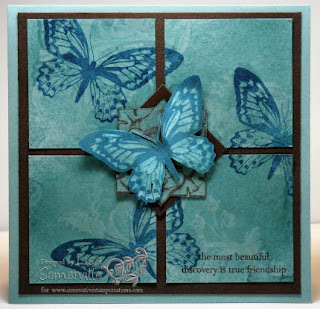 To create my card I used the Shimmer Resist technique from the August TJNL. Would you like to play along with this weeks ISC Challenge and have a chance to win some FREE stuff? Simple - just create a card using and ISC images and the sketch shown above, and leave a link the ISC Blog for your chance to win a $25 shopping spree at ISC. If you are loading to SCS - please use keyword ISCC14 so we can all see you work - but just a reminder you still need to leave a link on the ISC Blog. You have until October 12, to enter. Good Luck!